The Oral Cancer Foundation is pleased to have developed partnerships with two highly visible Hollywood stars to raise awareness of a disease of which too few people in the U.S. have ever heard. 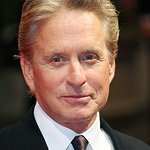 Academy Award winning actor, Michael Douglas, who has recently completed successful treatment for an advanced oral cancer, and Emmy and Tony Award winning actress, Blythe Danner, who lost her husband to the same disease have partnered with OCF to send a very important message about screening and early detection of oral cancer to the American public. With oral cancer on the rise in the U.S., these PSAs are more important now than ever. When found early, oral cancers have an 80% or better survival rate. Unfortunately, most oral cancers are found in late stages, when the five-year survival rate plummets to about 30%. This disease is now being called an epidemic when discussed by leading cancer authorities. While this campaign to slow the rapid growth of this disease has many fronts, the most important of them is the outreach through television stations and raising awareness to the American public through these very personal celebrity messages. Exposure to the HPV-16 virus, the most common sexually transmitted infection, is now the leading cause of oral cancers in the U.S. There is little that can be done to stop this virus from spreading. Our only hope to save lives is through increased public awareness and to encourage the public to receive an annual oral cancer screening. By implementing a public awareness campaign, OCF is educating the public about the risk factors, early signs and symptoms of the disease, as well as the need for all adults to undergo an annual oral cancer screening. Oral cancer is not a rare disease. Each hour of every day, one American dies of the disease, and four more Americans are newly diagnosed. These staggering statistics are the result of the public’s low awareness of the diseases risk factors, which makes these PSAs so crucial. Oral cancer can be defeated, but only with an informed public supported by involved professionals who want to make a difference in the world. Both Michael Douglas and Blythe Danner chose to work with the Foundation in the hopes that their PSAs will promote early discovery of this disease through screening to reduce treatment issues and save lives.